Jaco Pastorius was one of the most inventive bass players, probably best known for his work with the jazz fusion band Weather Report and Joni Mitchell and Pat Metheny. He is the only electric bass player in DownBeat magazine's Jazz Hall of Fame. But like many musical geniuses, alcohol and drugs took a toll. 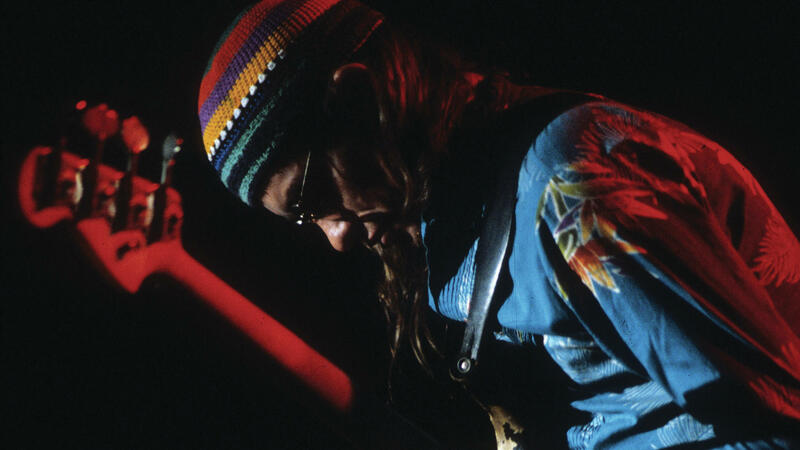 Jaco Pastorius was also diagnosed with bipolar disorder and ended up living on the streets. Jaco Pastorius died in 1987 after a violent encounter with a bouncer in a Miami nightclub. But new generations still discover his music. And to add to that legacy is now a 1982 recording at New York's Avery Fisher Hall for National Public Radio's Jazz Alive! It has been remastered for Resonance Records, "Jaco Pastorius: Truth, Liberty & Soul." SIMON: The original recording engineer on that recording was Paul Blakemore, who then worked for NPR. He's now a Grammy award-winning engineer. He has remixed the 24-track tapes. And he joins us now from the studios of WCPN in Cleveland. Paul, welcome back, OK. Thanks for being with us. PAUL BLAKEMORE: Thank you very much. I'm thrilled to be here. SIMON: And why remix this? BLAKEMORE: When we originally did the recording the recording itself was quite good. When we mixed it we had to use considerably lesser equipment at a little studio in downtown Washington. And we were never able to really get everything off the original tapes. And so for decades I was really disappointed with the original mixes that were done for the Jazz Alive! series. And so Resonance Records located the tapes - I had originally thought that they had been lost. And so to have the opportunity to revisit these tapes was - I mean, I considered it an incredible blessing because these performances are so good. SIMON: Take us back to that night at Avery Fisher Hall, June in 1982. What was it like? Who was there? BLAKEMORE: ...All these great New York players that made up the band. And plus, I had been an acquaintance of Jaco from back in the 1970s. And so to have the opportunity to record him with all these incredible musicians I was - I was thrilled out of my mind. SIMON: Let's listen to a track where we get an idea of that enormous full-blown sound. And this is a Jaco Pastorius composition. It's called "The Chicken." BLAKEMORE: ...And concentrating on, you know, playing right into their microphones. They were moving around and giving a great performance. And so sometimes things would go on and off mic. And with the equipment that we had to mix it originally, it was difficult - if not impossible - to fix those little balance problems when people moved on and off mic, whereas in a digital set up, I was able to go track by track and fix volume discrepancies so that all the players are audible all the time. And then you can really hear what's going on in the musical texture. SIMON: What's it like for you to listen to this music now? BLAKEMORE: It takes me back. Even after this was recorded and I was in New York, you know, for several days recordings these other concerts, I would walk around the city with - I don't know if you remember, back in those days cassette tapes were the transportable music form. BLAKEMORE: Yes, I had cassette tapes of the whole concert that we had recorded in the truck. And I had a Sony Walkman with a set of headphones, and I would walk around New York and just listen to this music and look at the city. This music is so New York - the cacophony and the rhythm, the dramatic counterpoint of the city. You know, it's great, great music. And it sounds as fresh to me today as it did in 1982. SIMON: Paul Blakemore, he was the engineer in this 1982 NPR recording which has now been remixed for the new album, "Jaco Pastorius: Truth Liberty & Soul." He joined us from Cleveland. Thanks very much, Paul. BLAKEMORE: Thank you, Scott. It was a great pleasure. Transcript provided by NPR, Copyright NPR.